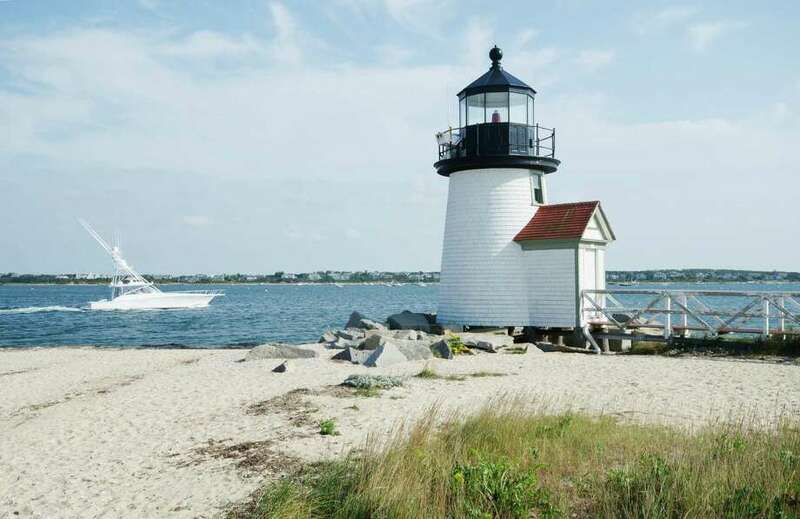 Cape Cod, Martha’s Vineyard, Nantucket and Block Island are perennial favorites for vacation and long weekend getaways, and with good reason. All have spectacular beaches, and activities to keep vacationers or all ages occupied. Cape Cod Museum of Natural History (and various towns) A month-long event including guided kayak excursions, tours of Nauset and Highland Lighthouses, walking tours, nautical art exhibits, and other maritime-themed activities. Barnstable Village, Cape Cod, MA Take a walking tour of the historic “Old Kings Highway” in Barnstable Village with professional ghost hunters, and hear the town’s haunting tales. Thousands of world-famous rhododendrons and an explosion of color cover 100 acres with spectacular blooms during this nine-day event with walking tours, pruning and propagation demos. Recognized as a top sailing event not only on the East Coast but nationally and internationally, the Figawi Race Weekend kicks off the summer season for Cape Cod and Nantucket with serious fun, camaraderie, and sailing, more than 200 boats and one thousand sailors convene for the Northeast’s first major regatta to kick-off the summer. Restaurant Week Beer & Wine Garden will spotlight local favorites such as Cape Cod Beer, Truro Vineyards of Cape Cod & Lola’s Local Food Lab. Live music and small bites provided by participating restaurants will also be featured at this event. A Vineyard Summer tradition and the only weekly juried art show where the public can meet over 70 artisans and buy directly from them. Many demonstrations, weaving, fine furniture, pottery, stained glass, oil paintings, pastels, mixed media, sculpture, wampum jewelry, quilts, clothing, sea glass windows, handmade books and more. Hockey teams compete to raise money for a drug and alcohol abuse shelter. Local chefs and cools compete to make the best bacon dish. The event benefits the Block Island Conservancy, dedicated to the preservation of open space on the island. Captain Nick’s Rock and Roll Bar, Block Island, RI It’s a six-day long musical celebration where festivalgoers sample music performed by “undiscovered” artists from around the Northeast. The annual Oak Bluffs Harbor Festival celebrates summer with live music, food, arts, crafts on the harbor front. Washington Park, Martha’s Vineyard, MA Celebrate the Solstice with the annual Midsummer Faerie Festival. The outdoor festival is free for the whole day. A fun day for the whole family with more than 300 cars – old and new of various makes and models on display - and fun activities for kids for free. This is one of the premiere destination film festivals in the world, with visitors coming from afar to experience preview screenings, signature programs, and stand out hospitality on this island rich with its history, a friendly atmosphere, and beautiful sandy beaches. Seth Meyers will host this year’s Screenwriters Tribute honoring Oliver Stone. It’s not summer without a classic New England clambake. The Cotuit Center for the Arts annual gala fundraiser features live performances from the year’s theatrical productions, hors d’oeuvres and drinks, a VIP lounge, live and silent auctions and dancing. Little Italy is re-created for this festive outdoor evening of authentic Italian food, wine and song. Arguably Cape Cod’s single largest cultural event, it features one of the nation’s finest and best-loved musical ensembles – the Boston Pops Esplanade Orchestra, with festival seating or sit on the lawn. The wooden boat sailing event culminates with the Rainbow Fleet Regatta and the Opera House Cup Regatta. This is a real old-fashioned agricultural country fair with mid-way rides, games, shucking and fiddle contests, skillet toss, horse pull, woodsmen competition, fiber-arts tent, dog and livestock shows. Narragansett Inn Block Island, RI This annual clambake raises money for the Local Lion’s Club. Enjoy clams, mussels, chowder, corn on the cob, sausage and more.